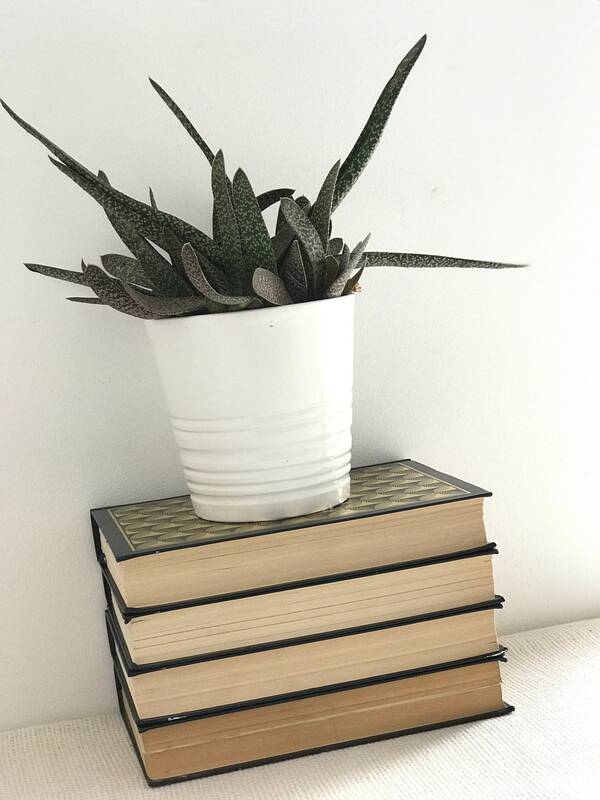 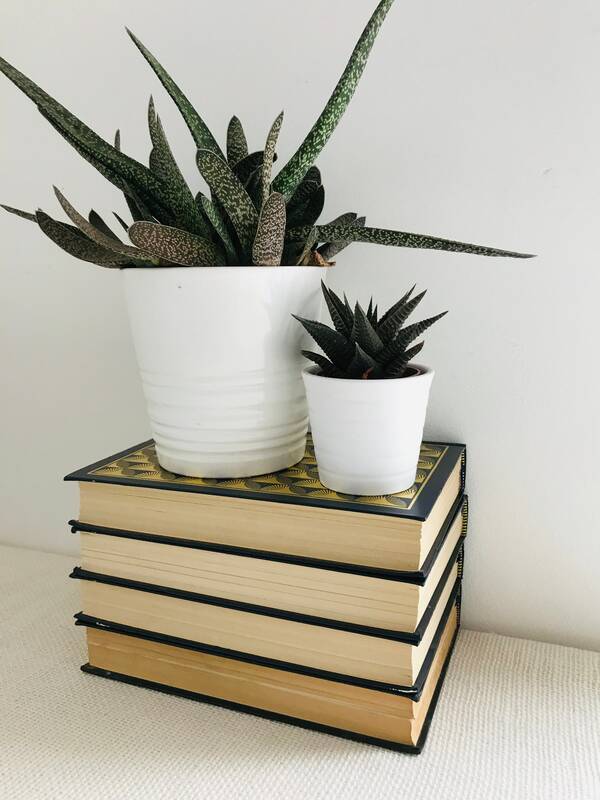 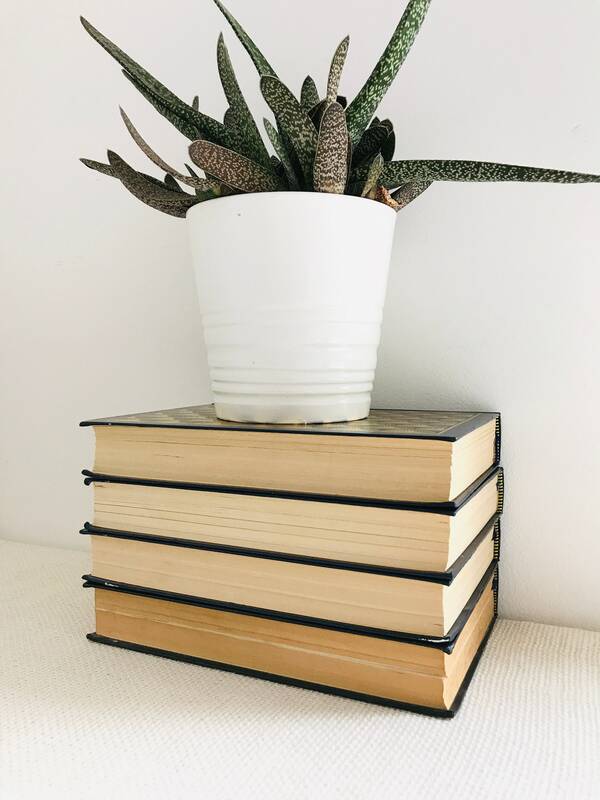 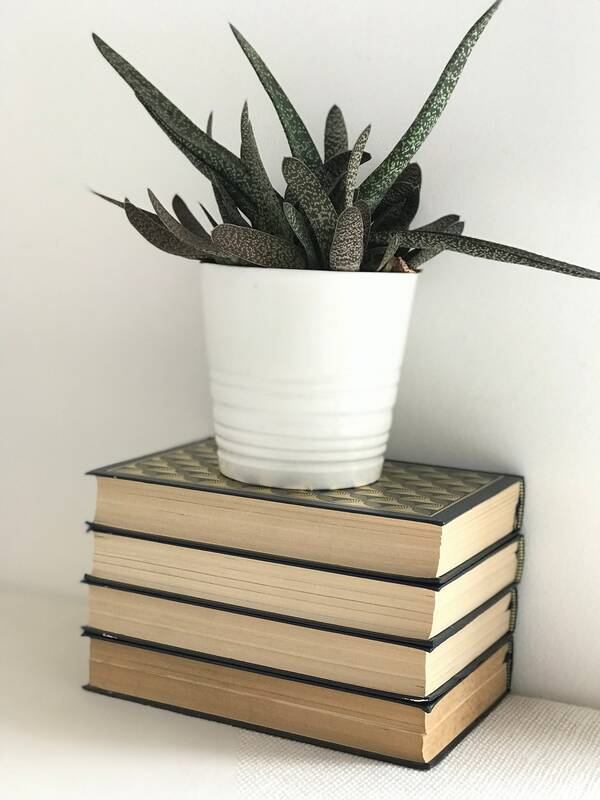 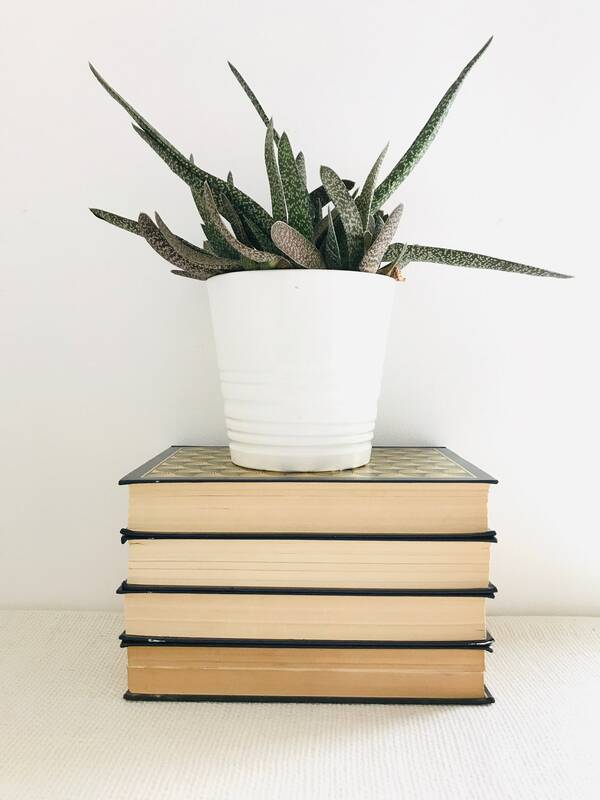 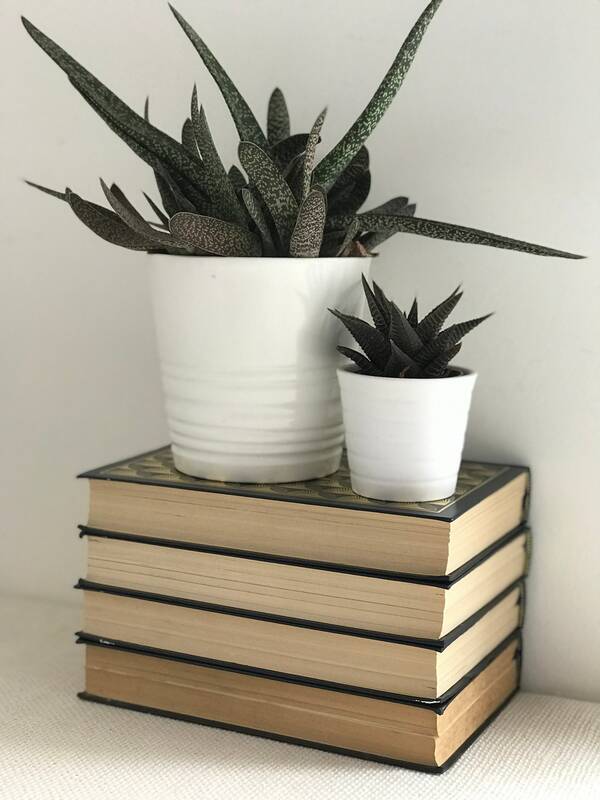 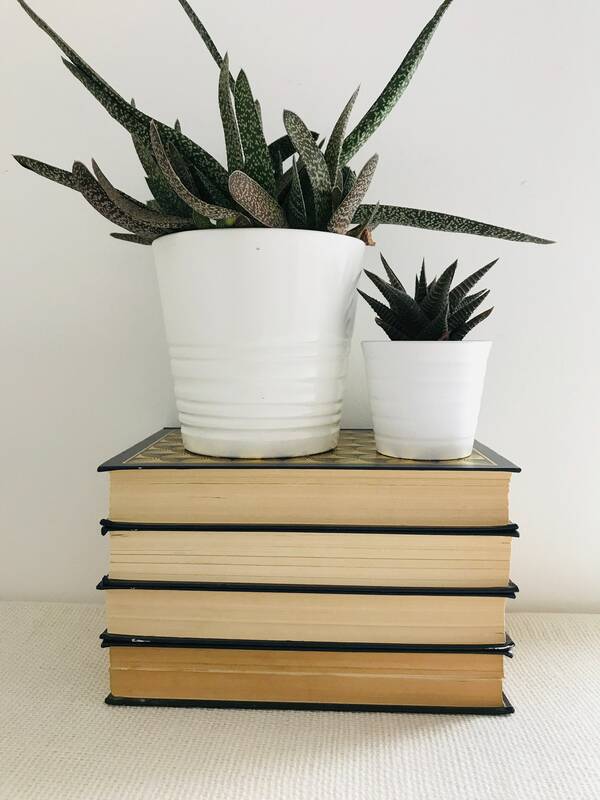 These books are all the same size and style have faux leather covers, they are perfect for displaying the bare side of the book for display and have a neutral cream / beige colour from the fading of the once white pages. 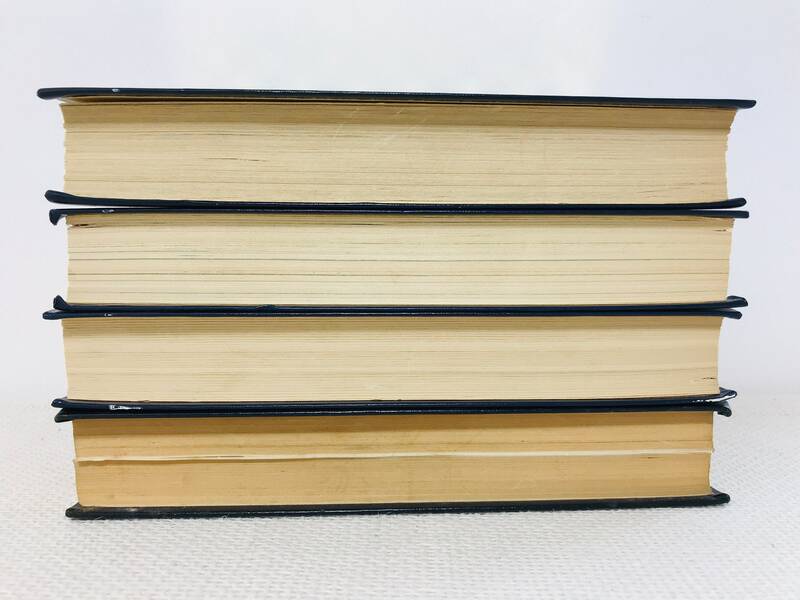 + Set of approx 4 books - Each book measures approx 8" x 5.5" x 1.25" - Stack of 4 measure approx: 8" x 5.5" x 5"
+ Colour of Faux xo vers may vary please leave a message in note to seller if you have a preference. 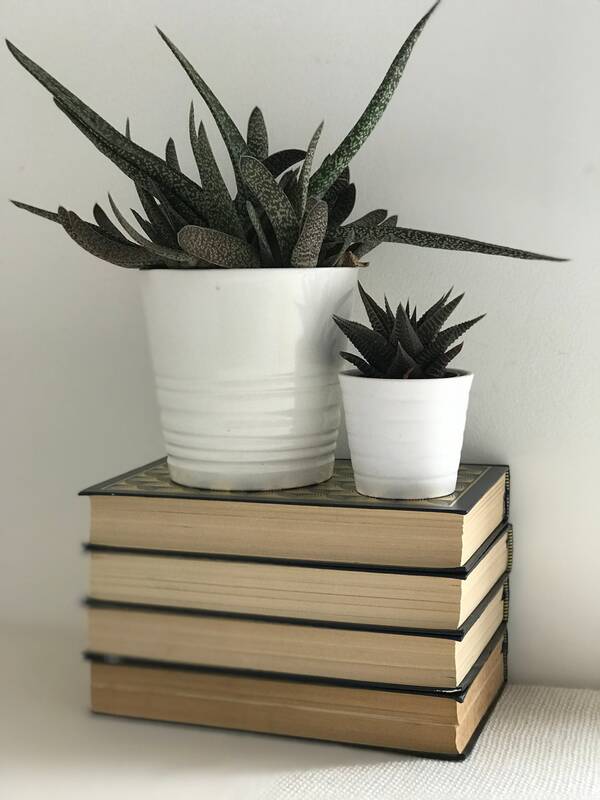 INTERNATIONAL SHIPPING - If you are ordering more than 1 set please provide a contact telephone number as it is required to book the international courier.